Monday, March 9, 2015 was one of the most exciting days of my life. 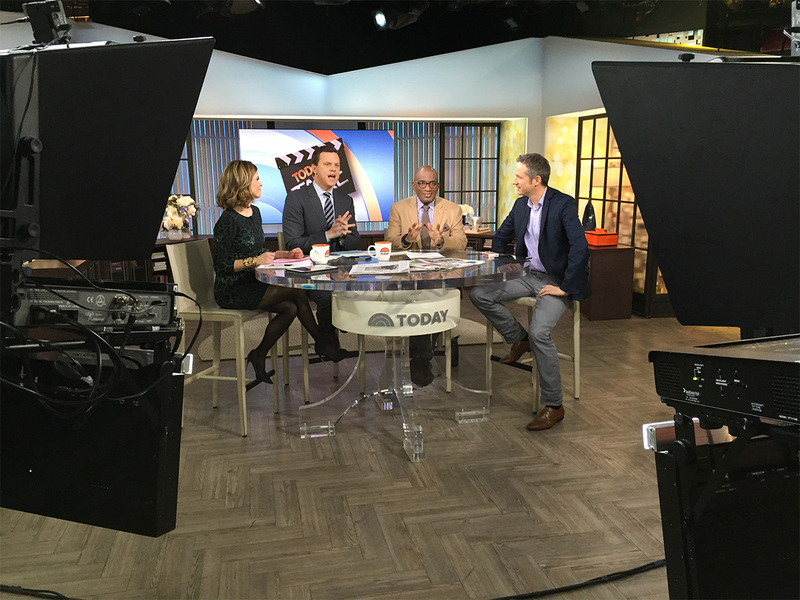 This was the day when I would be a guest on the NBC TODAY show, my first time on live national television in the United States. They gave me a lot to do in that first appearance — I did two teases and was part of two anchor desk segments. 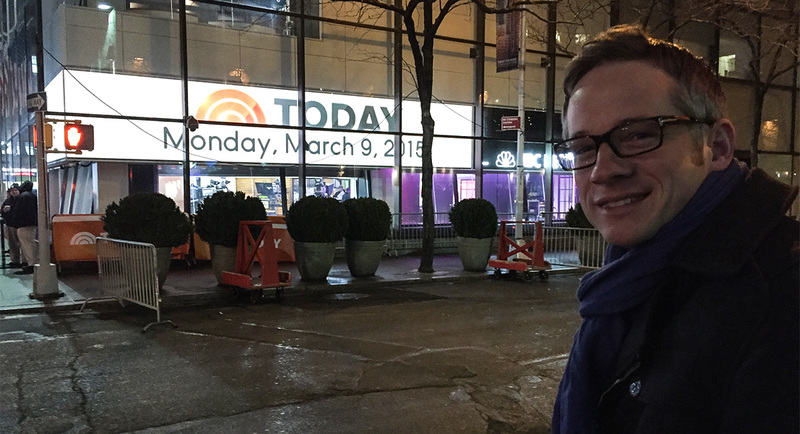 Come along with me as I give you a shot-by-shot tour of the exciting day I spent at NBC studios in New York. A light rain had begun to fall in Manhattan as I walked a couple of blocks from the hotel to 30 Rock (officially known as 30 Rockefeller Plaza), the headquarters of the NBC television network, where they shoot the NBC TODAY show every morning. You can see me in the distance, a lonely figure walking on the sidewalk, pushing my wheeled suitcase toward my live U.S. national television debut. Here I am outside the studio, just before I walked in. I was getting a little nervous at this point. 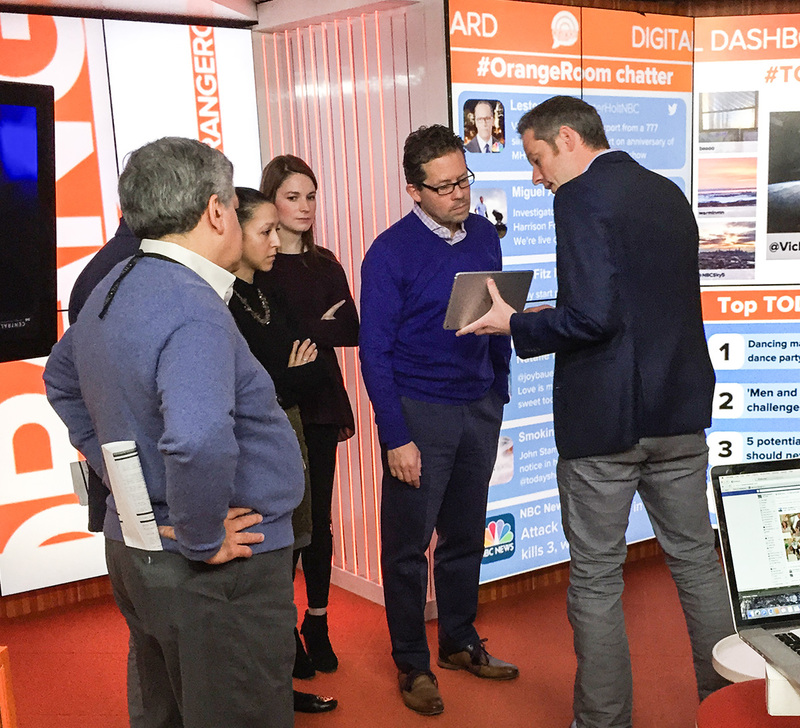 The TODAY show’s Studio 1A is actually across the street from the iconic 30 Rock building, and passersby can look in the street-level windows and watch the program being produced live. One NBC staffer told us this building used to be a bank before it became the TODAY show studio. 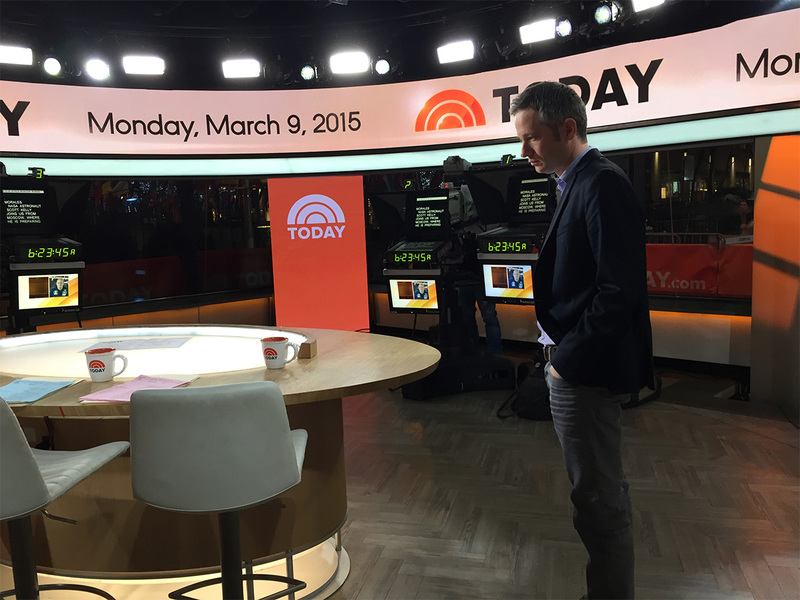 We arrived at the studio 15 minutes earlier than NBC requested (yes, that is the kind of thing we Germans do), and here I am waiting around in the quiet and darkened studio for our planned 6:20 AM rehearsal. It was hard to believe that within about 10 minutes, the studio would be bustling with camera crew, producers and TV stars. 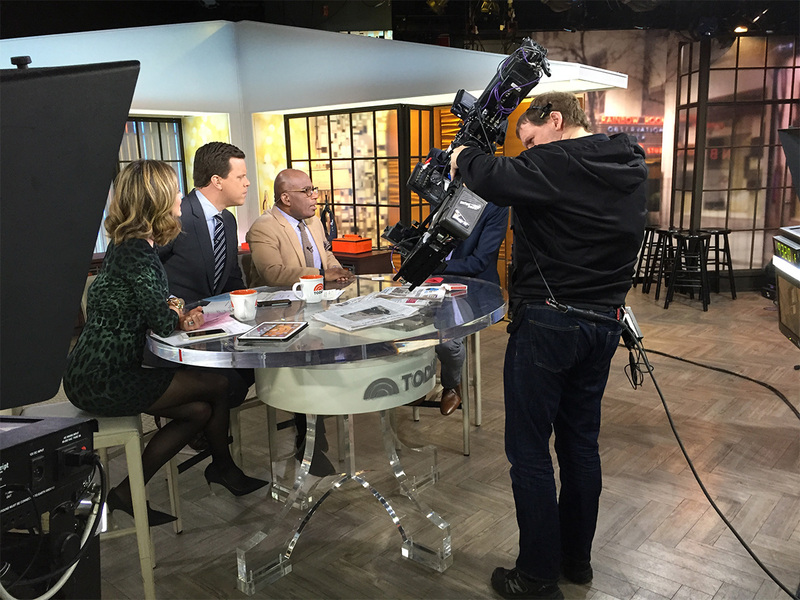 Next I met with the stage manager, director and the NBC today anchors. 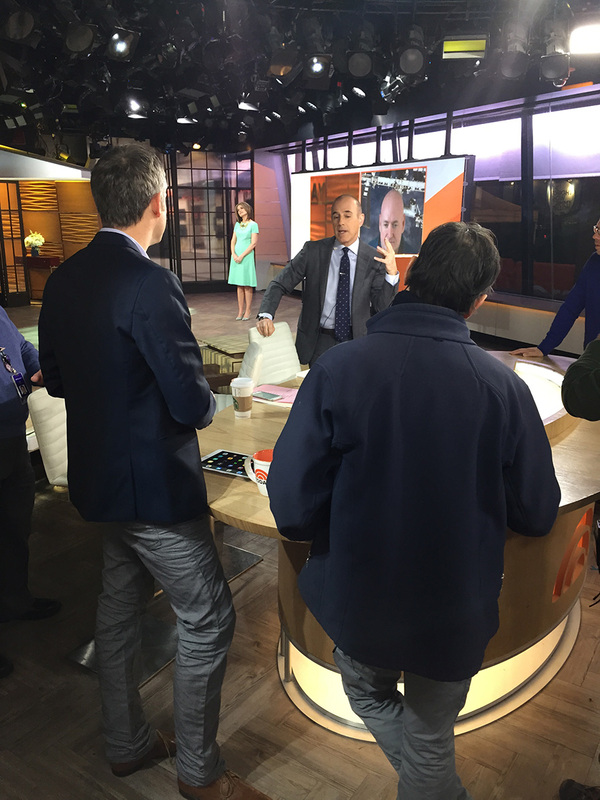 Here I am talking over a trick or two with co-host Matt Lauer, with co-host Savannah Guthrie in the background getting ready to prerecord a segment for the upcoming show. 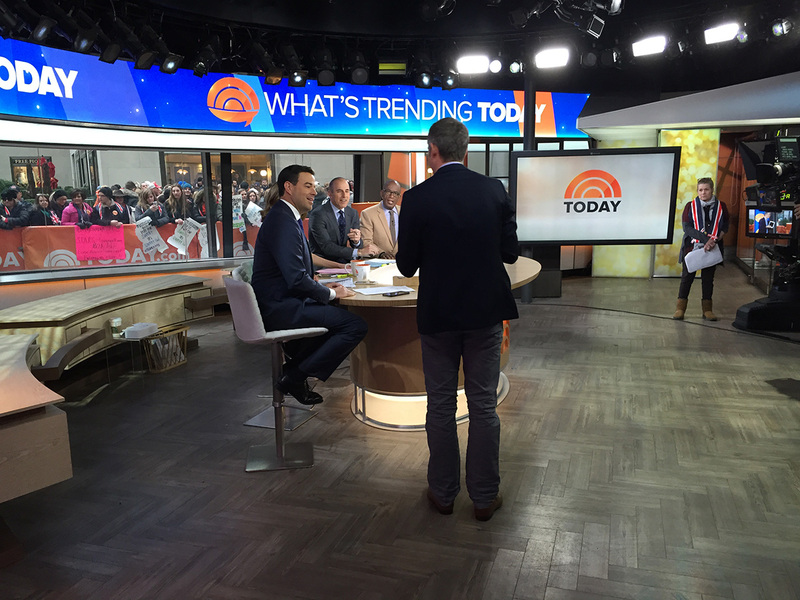 In my first segment with the NBC anchors, I walked in from the left side and showed them a few moves. It was a bit tricky at this moment, because I needed to play for both the hosts and the studio camera (you can see it on the right side of the frame). 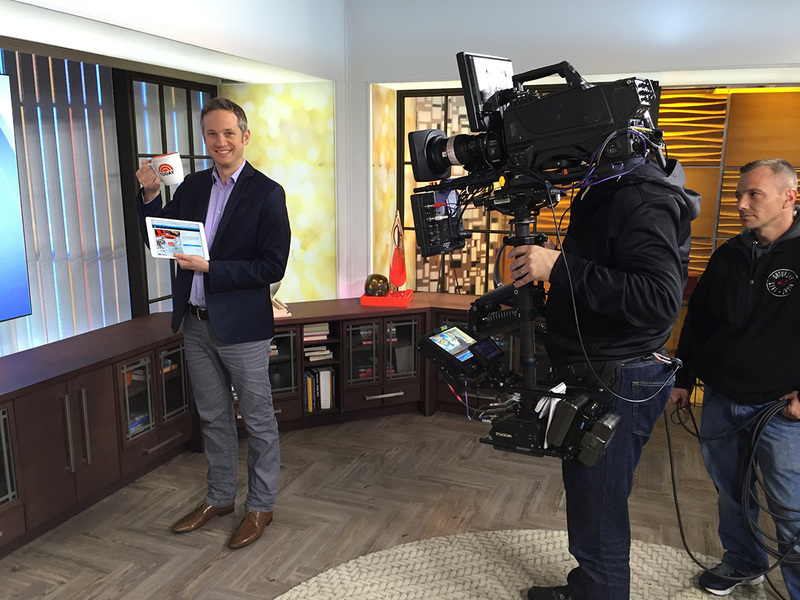 Here’s my second bumper leading into a commercial, where I pulled a TODAY show mug out of my iPad. Notice the elaborate gyroscopically mounted camera stabilization rig, known as a Steadicam, worn (piloted?) by NBC cameraman John Montalbano. Here’s the second segment I did with the show’s anchors, this one occurring during what NBC calls the “fourth hour” of the TODAY show. 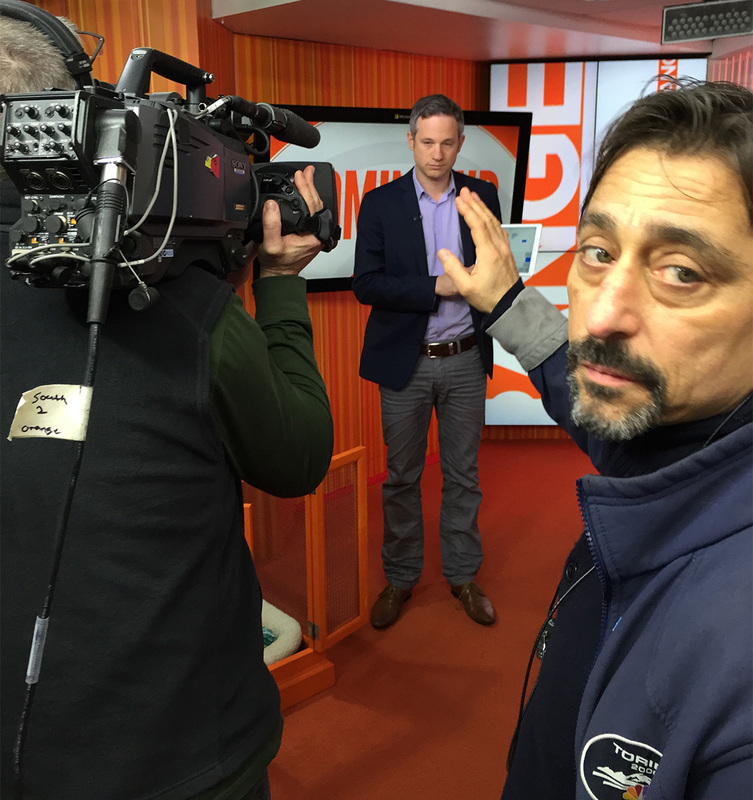 In this segment I got Al Roker to help me with a card trick that involved virtual reality on the iPad. I was happy to see that Steadicam operator John Montalbano had no trouble achieving a high-enough angle to see the iPad screen as I laid it flat on the table.